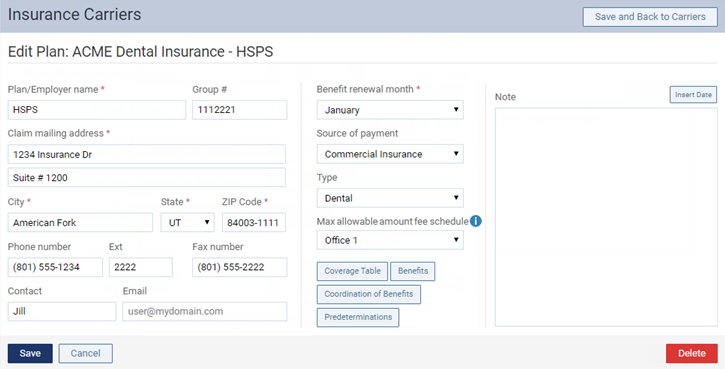 You can delete a coverage table that is attached to an insurance plan so that you can create one from scratch (not recommended) or to create one from a template or another insurance plan. Important: Deleting an insurance plan's coverage table affects all patients covered by that insurance plan. 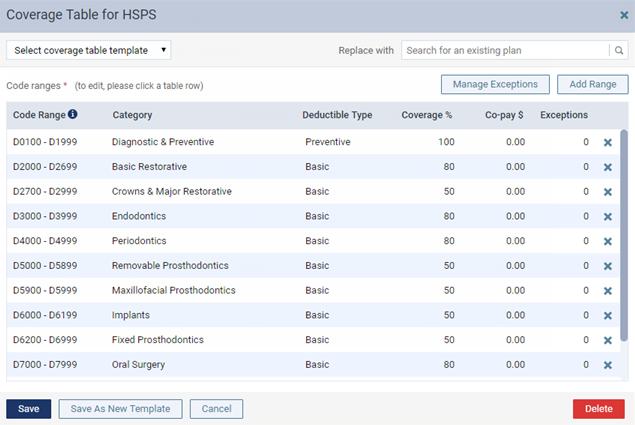 While viewing an insurance plan that is attached to a patient's record, click (or tap) Coverage Table. While viewing an insurance plan that is associated with a specific insurance carrier, click (or tap) Coverage Table. The Coverage Table dialog box appears. Click (or tap) Save or Cancel.